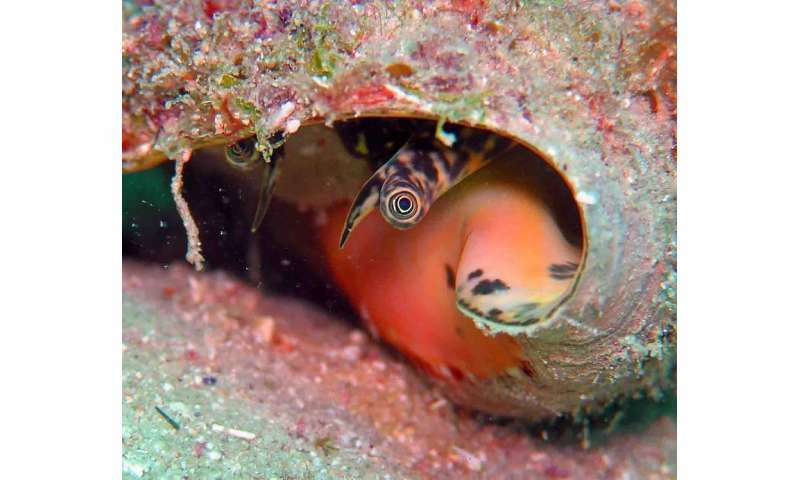 Tthe Mexican Caribbean is habitat to several species of snails. 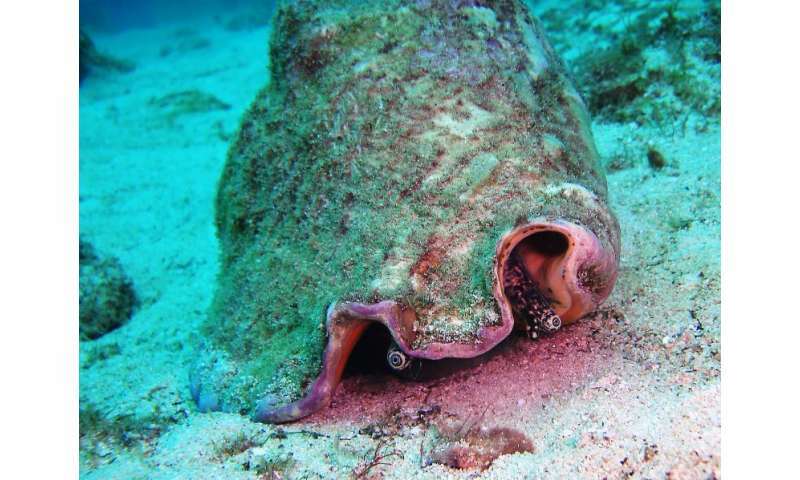 Historically the most abundant was Strombus gigas, commonly called the pink snail. For years, this snail has been harvested for its shells and meat, but is now threatened, and its capture is prohibited until 2018. To help its recovery, Anastazia Teresa Banaszak, a researcher at the Academic Unit of reef systems at Puerto Morelos of the National University of Mexico (UNAM), has studied the species since 2009. Shee found that a microalgae improves the survival rate of farmed pink snail larvae. This represents an alternative for production and conservation. 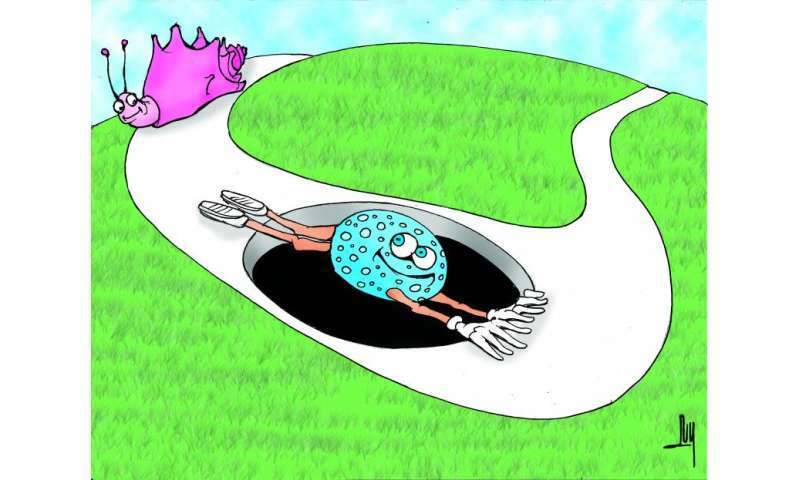 Banaszak explained that they already knew of a microalgae in the stomach of the snail. "With that background, we wanted to find out when, exactly, the symbiosis occurs, and thus determines if it influences the survival and growth of the snail." The microalgae measures approximately 10 microns (0.01 millimeters) and performs photosynthesis; it genetically mutates the host products, providing a significant amount of food. Most importantly, the snail has a complex life cycle. The female lays an egg mass where the embryos develop and hatch as larvae within five days. At that time, the snail goes into planktonic phase and swims in the sea. "Our research involved taking samples of microalgae from adult snails and supplying it to larvae at different ages. We found that the best time to apply the algae is 48 hours after hatching, as this is when it can establish the symbiosis. We achieved up to 90 percent survival, as opposed to development without microalgae, which produced less than 1 percent survival rate," said the doctor in aquatic biology. The aim is to perfect the technique of cultivation, execute it at a large scale at low cost and with high efficiency, for industry to benefit from its production and sales, and thus preserve the species. "The most important thing is that we are working to preserve the species and find a more efficient alternative for pink snail farming as a source of income," concluded Dr. Anastazia Banaszak.